Murray McLean has chaired the Foundation of Australia-Japan Studies since it establishment in 2014 and has served as the Chair of the Australia Japan Foundation since 2012. He is a Member of the Board of the Australia Japan Business Cooperation Committee and served as a special advisor on the preparation of the White Paper on "Australia in the Asian Century" during 2012. He was a Vice Chancellor’s Professorial fellow at Monash University from 2012-2015 and a visiting Fellow at the Lowy Institute of International Policy from 2014-2016. He is also Chairman of his family company Dunmore McLean Pty Ltd. Prior to his retirement from Department of Foreign Affairs and Trade (DFAT) in 2012, Mr McLean held senior positions in the Department including Deputy Secretary. Much of his career was spent in the formulation of Australian policy towards Asia, with a particular focus on China, Japan and North Korea. A fluent Chinese speaker, he was posted to Australia’s Embassy in Beijing in 1973, serving there twice and in Shanghai as Consul General from 1987-1992. In Canberra he was the Head of East Asia Branch and North Asia Division in DFAT. From 2002-2004, serving as a special ministerial envoy on North Korean nuclear matters, he visited North Korea on several occasions. In late 2004, he was posted as Australia’s Ambassador to Japan where he remained for almost seven years until August 2011. In Japan he was heavily engaged in advocating for a Free Trade Agreement with Japan and in building security cooperation between the two countries. He led Australia’s response to the events of March 11 2011 and following days, including the huge Tohoku earthquake and devastating tsunami and the Fukushima Daiichi nuclear plant disaster. Mr McLean was appointed an Officer in the Order of Australia (AO) in the Australia Day 2013 Honours list and in November 2014, Mr McLean was honoured by the Emperor of Japan with the appointment to the Grand Cordon of the Order of the Rising Sun. 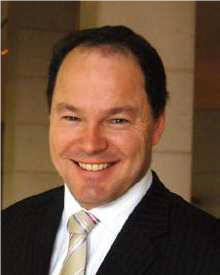 Jason Hayes is the leader of PwC’s Asia Pacific Japan Practice (ex Japan). In Australia he is supported by a team of 25 Japanese professionals situated across Australia covering the firm’s Deals, Assurance, Taxation and Consulting service offerings. Jason is a Financial Assurance Partner and has more than 24 years of international experience providing assurance and advisory services to companies in a wide variety of industry sectors, particularly Entertainment & Media, Technology and Retail & Consumer. He has advised Japanese companies on the impact of international accounting principles and reporting standards (IFRS), JSOX requirements, foreign listing requirements and he has extensive experience with financial due diligence and financial investigations in Australia and Japan. Jason has considerable experience assisting Japanese and Australian companies with the implementation and adoption of IFRS. His Japanese client experience includes working for organisations such as Mitsui & Co., Konami, Sony, Mitsubishi, Toshiba, Nippon Steel, KDDI, Konica-Minolta, Hitachi, Kirin and NTT. Other client experience includes providing services to subsidiaries of foreign public companies, including Microsoft, Aristocrat, IBM, The Walt Disney Company, Novell, Honeywell, Nokia, The Interpublic Group of Companies and AT&T. Jason is the lead author of PwC’s “Japan Rebooted” series and is a regular commentator in the media and presenter at forums on Japanese trade and investment in Australia including seminars organized by PwC in conjunction with Asialink, JCCI and JETRO. Jason has spent the past 8 years on assignment with PwC in Japan and he is an active member of the Australia Japan Business Cooperation Committee. Tim joined the Rio Tinto Group as joint company secretary of Rio Tinto Limited in January 2013 and has over 25 years’ experience in corporate counsel and company secretary roles, including at ANZ Bank, Mayne Group, Symbion Health and Skilled Group. Tim commenced his career as a solicitor in private practice and has also managed his own consulting company. Stephen has worked on a wide range of commercial transactions across diverse industry sectors. He has acted in numerous domestic and international capital market issues, acting for issuers and underwriters in matters involving debt instruments and debt and capital linked instruments. He has also had particular experience in asset acquisitions and developments in the resources, power and infrastructure area, with an emphasis on the financing of these transactions on a project basis. Stephen also has extensive experience in loan restructurings, having acted for the major lenders and numerous other banks in the restructuring of the loan and credit facilities of the Adsteam group of companies. In that role, Stephen was involved in advising the major lenders in respect of the trade sales and re-floating of particular assets in the Adsteam group (including the Woolworths and David Jones group of companies). Stephen also works with specialist lawyers within the firm who advise and assist Japanese companies in Australia and Australian companies doing business in Japan. In this role, Stephen has had numerous dealings with major Japanese corporations and has spent considerable time in Japan over many years. Professor Veronica L. Taylor is an international lawyer specializing in legal and institutional reform, with particular expertise in Japan. She is Research Professor of Law and Regulation in the School of Regulation and Global Governance (RegNet) at the Australian National University (ANU) and Director of the ANU Japan Institute. She was previously Dean of the College of Asia and the Pacific, Australian National University (ANU). She serves as a Board Member of the Australia-Japan Foundation (Australian Department of Foreign Affairs and Trade) and as a member of the Executive of the Australia-Japan Business Cooperation Committee (AJBCC). Alastair Mathias leads the Rio Tinto Automation and Technology group within Rio Tinto’s Growth & Innovation organisation. His team employs specialist expertise to identify, develop, implement and support automation technologies across the mining value chain. This includes managing Rio Tinto’s highly publicised Mine Automation System (MAS) and Visualisation tool (RTVis™) as well as the drill automation program (ADS), Smart Charge Truck, and Automated Blast Cone Sampler. Alastair is a mining engineer who joined Rio Tinto in 1992 and has experience in both surface and underground mining across a range of commodities. He has worked in operations and technical roles including line leadership, operational performance analysis and improvement as well as mine planning, M&A support, equipment strategy development, and operations simulation. Paul Myler has recently been appointed Assistant Secretary, North East Asia with the Australian Department of Foreign Affairs and Trade where he is responsible for Japan and the Korean Peninsula. This follows three years as Assistant Secretary, Indian and Indian Ocean during which he drove engagement with India across the full gamut of Australian interests, including spearheading efforts to increase strategic and defence cooperation and generate a more robust Indian Ocean regional architecture. His team supported Mr Peter Varghese AO in conceiving and delivering his report An India Economic Strategy to 2035: Navigating from Potential to Delivery. From 2013-15, he was Australia’s Ambassador to the Russian Federation and the countries of Central Asia. He has also served as Chief of Staff to the Australian Minister for Resources and Energy. Previous roles in DFAT include Assistant Secretary, Strategic Issues and Intelligence to cover the crucial delivery of the Government’s 2016 Defence White Paper and Cybersecurity Strategy; Assistant Secretary, Northern, Southern and Eastern Europe; Assistant Secretary, G20 and International Economy; and Senior Legal Counsel, Australia-US FTA. He has also been posted to Australia’s Mission to the World Trade Organisation in Geneva.